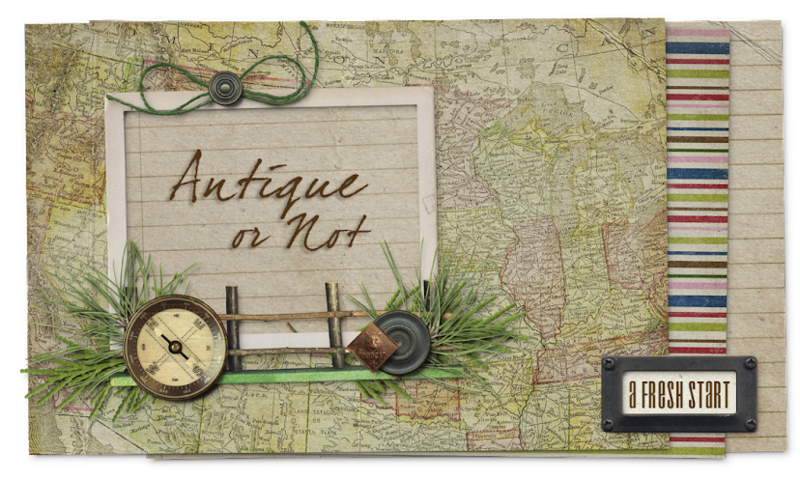 Antique or Not: Tagged Again! That crazy friend of mine Cheryl over at Tidymom has tagged me to share seven random things about me. It's getting tougher to think of fresh and interesting things to share, especially since Cheryl did such a fabulous creative job with her post on the subject! 1. I'm obsessed with snow right now, probably because we hardly ever get much in our area and everyone else I know all over the country seems to have some right now. I want some snow too! 2. I used to draw when I was younger, mostly portraits, in charcoal or pencil. When we'd go to a restaurant and the waitress would offer my children crayons, they'd color for a while and then hand me a crayon and ask me to draw random people for them. 3. People who interrupt and won't let you finish a sentence absolutely drive me bonkers! 4. I was a contestant on the daytime version of the Weakest Link several years ago. 5. I'm the most cold-natured person you'll ever meet...hands and feet are always icy. Kind of ironic considering #1 above, eh? 6. I love to karaoke but I'm not very good at it. 7. Yellow roses are my favorite. Link back to me for nominating you. Nominate five other bloggers and link to them on your blog. This time I think I'll nominate the five bloggers (other than Cheryl!) who comment the most on my blog posts (I know you've all probably played before but that's okay). I love you guys! Wow, Pam, I can't believe you were on the Weakest Link! How did you do? I'm like you, hands & feet always cold, but this year I bought the warmest boots & when I go out near zero temps my feet haven't gotten cold yet. Have a wonderful day. The Weakest Link contestant!? Now THAT deserves a post on it's own! I'd love to hear what it's like being on a show like that - how it all works! You've had such an interesting life Pam! Those are very interesting facts! You seem to have accomplished a lot - Washington, The Weakest Link, man you were busy! What great random things! Oh man I am so with you on number three! Congrats on being tagged-And thanks for thinking of me and taggin me! LOL! I will get on that-I can always come up with randome things about me-kind of sad that that is so easy-huh? :) Hope you have an awesome weekend!